SUAY Pan Asian Restaurant Inspired by the beauty of Asian culture,encompassing all that is great about the continent in one immersive culinary experience. Serving a variety of culinary delights from China, Japan, Malaysia, Thailand and beyond. We hope you enjoy your visit as much as we enjoy serving you. Originally from Maha Sarakham in North-Eastern Thailand, our Head Chef Wimon has mastered the art of Asian cuisine through years spent in kitchens across Asia and the UK. In his younger years, Wimon worked in several small restaurants in Thailand, learning his trade, developing his skills and creating new, innovative dishes. In 2002, he took a role as Chef De Partie at Blue Elephant in Thailand’s capital city Bangkok. A year later, he was promoted the Head Chef at the Blue Elephant in Bahrain, where he spent a year managing a busy, high-end kitchen. Seeking a challenge to spread his culinary wings, Wimon moved to the UK in 2004, and has held Head Chef positions in Mae Ping Thai Restaurants and Chaophraya in Manchester. 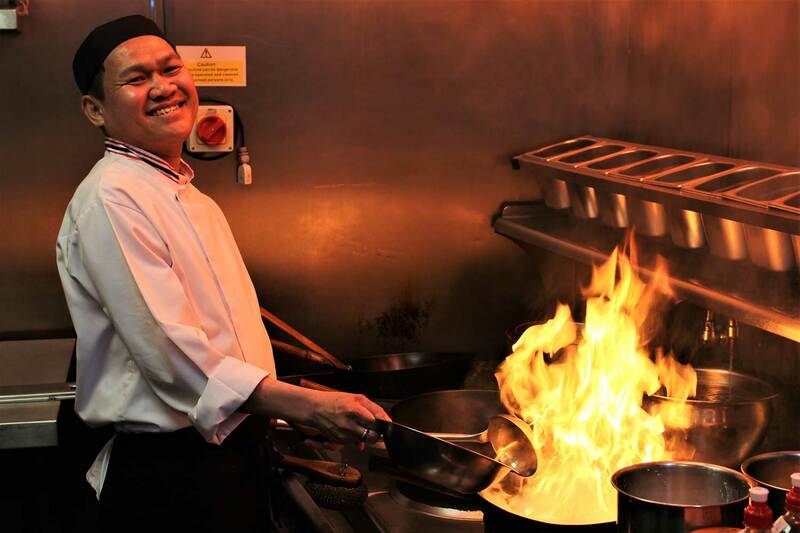 In 2009, Wimon was awarded the position of Head Chef at Chaophraya in Liverpool, where he stayed for 8 years. 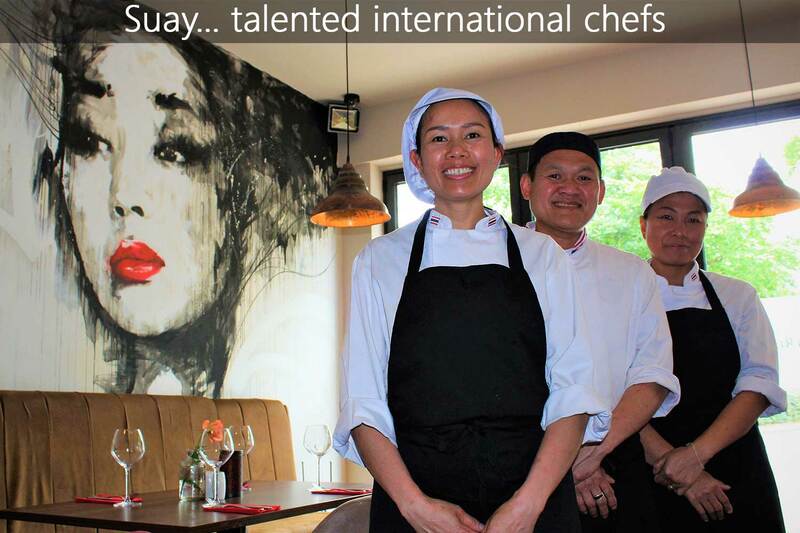 This brings us to today where Wimon is Suay’s respected and talented Head Chef. We look forward to sharing with you his spectacular talents and hope that you enjoy sampling his innovative and creative dishes.